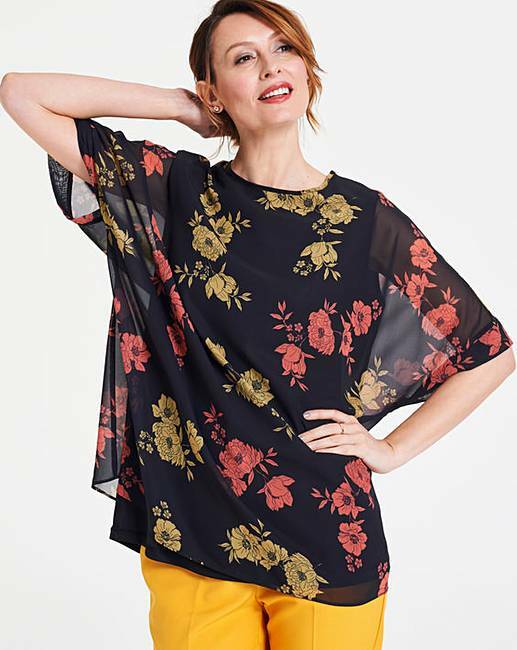 Black Floral Round Neck Top is rated 4.5 out of 5 by 6. Look great this season in this easy-to-wear round-neck top with jersey lining. The round-neck top features a soft woven fabric over the top and a jersey lining underneath. Available in two plains and one print. 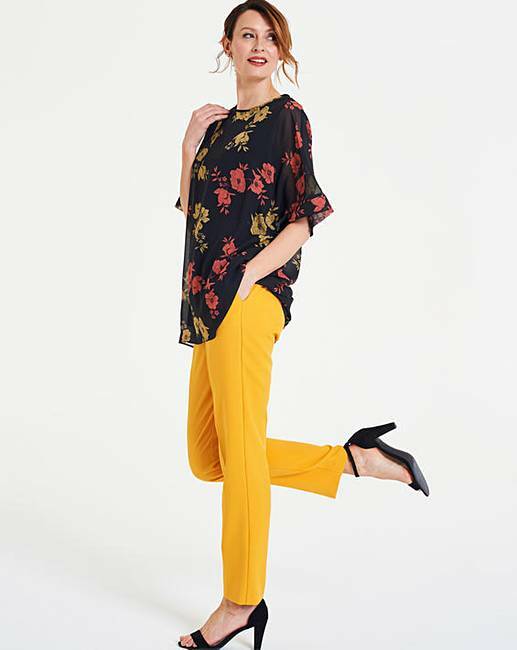 This blouse looks great paired with jeans and flats for the perfect daytime look. 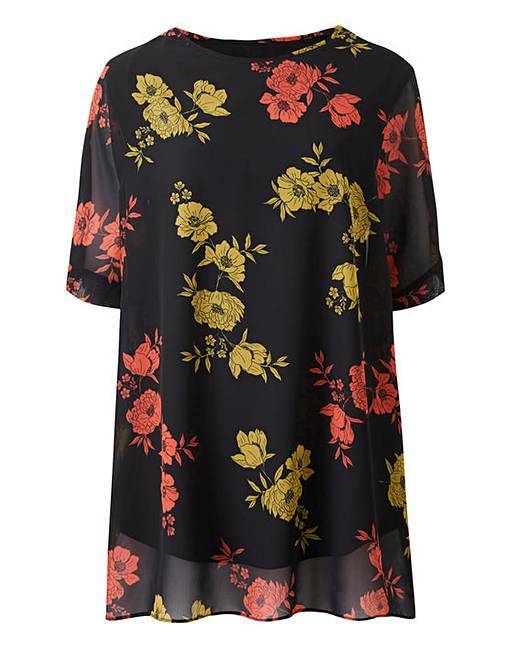 Rated 4 out of 5 by Meatloaf from Just lovely and good price This top could be worn either casual or smart for an occasion. Such a good price. 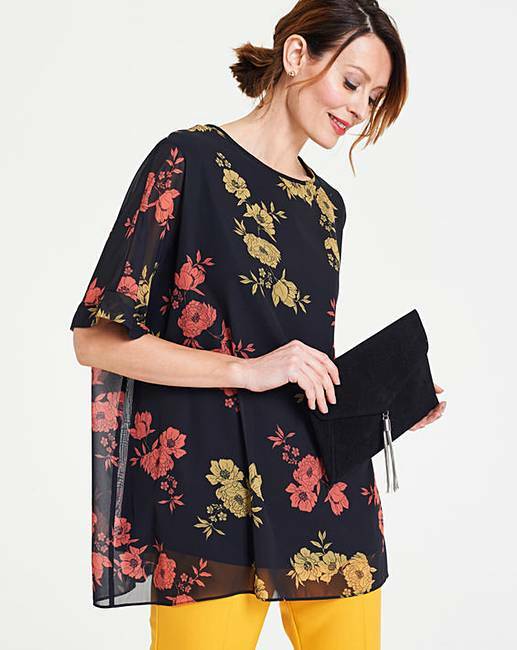 Rated 3 out of 5 by Anita from Black floral round neck top Unfortunately had to return this top, the lining fitted great but the top itself was so oversized did nothing for me what so ever, disappointed as really liked the top.